Our labels have launched into space! » Our labels have launched into space! Last week, SpaceX launched its Falcon Heavy rocket. Why are we so excited? Because NFI Corp’s USA flag labels have also gone into space! It’s true! Our permanent USA flag labels were applied to a NASA probe called CONTOUR on a mission to gain insight into the nature of comets. Our long-lasting labels – featuring super-tough materials and engineered adhesive – are built to be permanent. In fact, NASA scientists told us they planned an Earth flyby for CONTOUR at the speed of 28.2 km/second. That’s 1,692 km/minute or 101,520 km/hour! 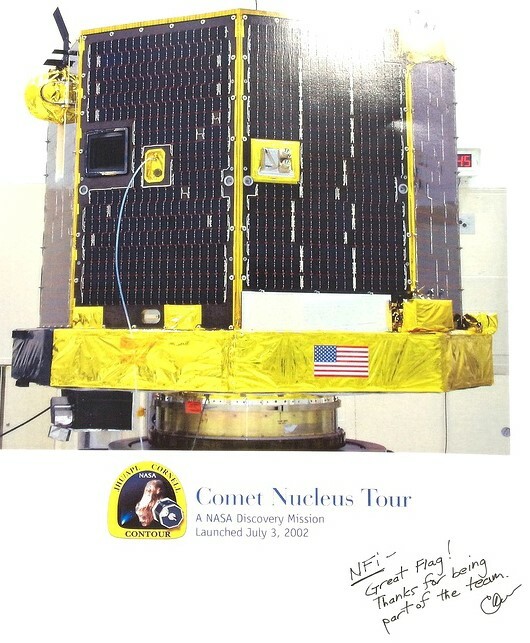 A NASA Discovery-class space probe, the Comet Nucleus Tour (CONTOUR) launched on July 3, 2002, from Cape Canaveral Air Force Station. 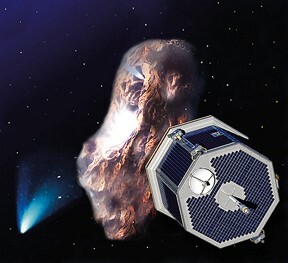 CONTOUR’s mission was to fly near two periodic comets: Encke andSchwassmann-Wachmann- Plus, scientists sought to identify a new comet in the inner Solar System, with hopes the probe could do a flyby. The goal was to learn more about the characteristics of comet nuclei. Constructed at Johns Hopkins University Applied Physics Laboratory, it had anoctagonal prism shape. This diminutive spacecraft measured only 7 feet tall by 6 feet long. 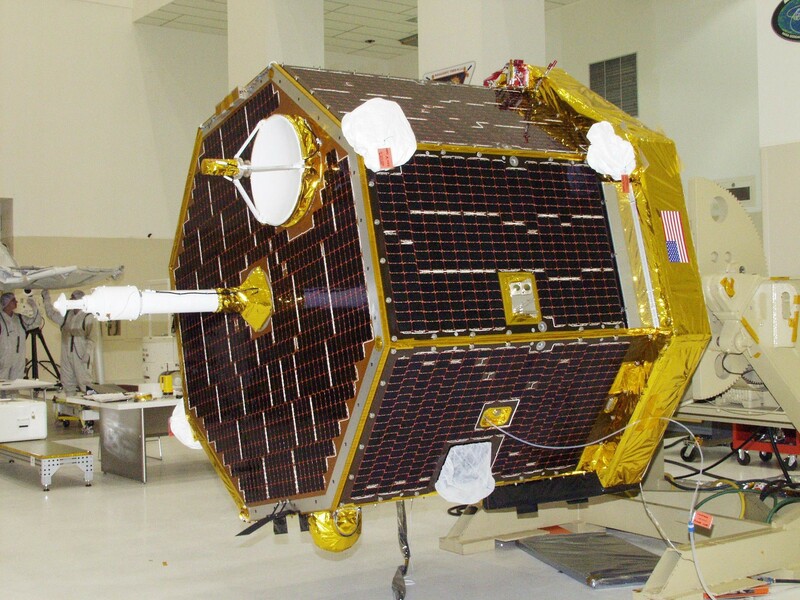 The shield on its leading face, designed with 4 layers of Nextel™ fabric and 7 layers of Kevlar™, was built to allow CONTOUR to withstand the nearly 30 kilometer-per-second velocity flybys of comets. Substantial protection was needed, since the spacecraft would be subjected to high-velocity particles ejected from the nuclei of the comets. Like NASA, you can rely on our high-performing labels. While your company isn’t launching rockets into space, you DO require permanent USA flag labels – durable, industrial-strength labels you can depend on. In fact, many of our customers – such as military/government organizations and industrial manufacturing companies – have demanding environmental conditions that nearly rival outer space. Permanent NFI Corp USA flag labels must endure challenging environments such as saltwater immersion, intense heat, and shockingly cold temperatures. Why use USA flag labels on your products? Because buyers choose products made in the U.S.
Here’s down-to-earth information about complying with the Made in USA standard. For a product to be called Made in USA, the product must be “all or virtually all” made in the United States. The term “United States” includes the 50 states, District of Columbia, and U.S. territories and possessions. Show your pride – and spur sales – by adding permanent USA flag labels on your products.